If there’s any time during the year that’s best for introducing classical music to the uninitiated listener, it’s summer. Thanks to seasonal changes in venue, pricing, and repertoire for many notable orchestras over the summer months, concerts during this time create an enticing entry point to the art form of live classical music. Many orchestras take advantage of both audiences’ desire to spend time outdoors and the conducive weather of summertime to host outdoor concert series. This environment is perfect for those who might not be comfortable with a traditional concert hall setting. Any notion of orchestral music being stuffy or restrained disappears when the listener’s seat is a lawn chair or picnic blanket. Opportunities to listen while reclined in the grass or visiting a park exist in most major cities, and even smaller municipalities offer community band events, if a listener wants to stay close to home. 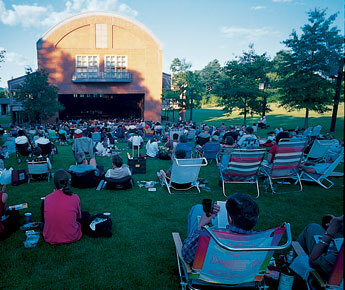 Often, major orchestras have a “summer home.” The Boston Pops, for example, spend a lot of the summer in lovely western Massachusetts at the Tanglewood Music Center, hosting events with household names like violinist Joshua Bell and composer John Williams. 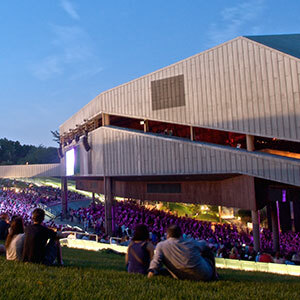 Similarly, The Philadelphia Orchestra offers concerts in the airy Mann Center for the Performing Arts, an amphitheater in Fairmount Park where audience members can park a picnic on the lawn and take in a concert under starlight. It’s no secret that the increasing costs of funding the arts have resulted in rising ticket prices for most of the nation’s most reputable orchestras. But in the summer, opportunities to see premier ensembles for a lower cost—or even free—abound. For example, the New York Philharmonic offers concerts in New York parks that are absolutely free. Concerts involving smaller ensembles, such as chamber orchestras, also present listeners on a budget with excellent concert opportunities, where tickets may be as little as $10-$15—the average price of a movie ticket, without the popcorn. Orchestras often use the summer to sponsor programs that reach into neighborhoods beyond their normal performance venues, and these satellite concerts involve all the grandeur of a professional performance without the travel time into a major city or the price tag for a concert hall seat. For the new classical music listener, many orchestras focus on lighter or pops repertoire during the summer, which offers these audience members a way to appreciate classical music with the chance to grow into less familiar material. The Fourth of July holiday spurs a host of concerts around the country filled with patriotic music most can hum, from The William Tell Overture to Stars and Stripes Forever. As an added bonus, fireworks often top off these musical celebrations. One of the most notable of these performances is the Boston Pops Fireworks Spectacular, which will be under the baton of Maestro Keith Lockhart for the 20th year in 2015. Similarly, the Philly POPS! takes part in the week-long celebration of American independence by offering a free concert in front of the iconic national landmark Independence Hall. Beyond the patriotic, listeners often find concerts presenting anything from Gershwin to movie soundtracks played live to the film screenings as options in the summer months. By programming concerts in nontraditional ways or combining them with other public events, classical music reaches listeners who may have never had the opportunity to hear live musicians otherwise. The Boston Pops Esplanade Orchestra performing at the Hatch Shell in Boston, MA. Image: Garrett A. Wollman. Made available by permission of the photographer. Orchestras program the summer months to draw listeners in from all walks of life, to share with them the gift of instrumental music. Whether due to a lovely outdoor venue, a free concert that crops up just down the street, or easy-to-appreciate repertoire, these summer variations in professional orchestras’ methods of presentation spread the art form beyond its typical borders, to the benefit of all they touch.